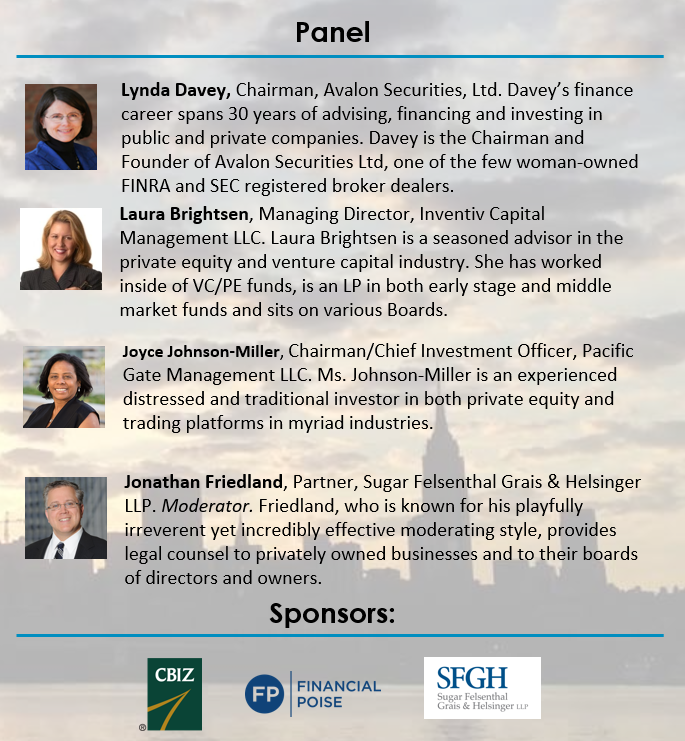 Financial Poise™ Founder Jonathan Friedland will moderate the panel, “The Board's Priorities: Differences for VC, PE, Family & Public Companies,” at the Private Directors Association’s New York Breakfast on November 13, 2018. Financial Poise™ founder and chairman Jonathan Friedland will speak on “The Board's Priorities: Differences for VC, PE, Family & Public Companies" on November 13, 2018. Financial Poise™ founder and chairman Jonathan Friedland will be speaking at the Private Directors Association next week in New York City. Mr. Friedland, who will speak on “The Board's Priorities: Differences for VC, PE, Family & Public Companies,” is also a corporate partner with the law firm of Sugar Felsenthal Grais & Helsinger, where he focuses on transactional matters. His clients include private equity and hedge funds, VCs, family offices, and other owners of privately held businesses and investment vehicles. The event features an expert panel of seasoned investment executives who will examine some of the fundamental differences between sitting on the board of a company owned by Venture Capital v. Private Equity v. Public Shareholders. The Private Directors Association’s Breakfast takes place in New York City on November 13, 2018. For more information, please visit here.